Clergy of all faiths urgently needed cultural training to deal with an Australia that had changed beyond recognition since the 1990s, according to one of Australia’s leading religious authorities. Melbourne Anglican priest, UNESCO officer and university academic Gary Bouma told a UN Interfaith Harmony Week lecture at Melbourne University in February that Australia was now “one of the most diverse nations in the world”. Learning to cope with differences among ethnic and religious groups was the key to combatting terrorism as well as to successful living, productivity, business and relationships, said Professor Bouma. Clergy given cultural training even just 20 years ago “were trained into a society that doesn’t exist anymore,” said Professor Bouma. “If you’re ministering now, you’re ministering to a very different society. Professor Bouma said all professions could benefit from diversity training but especially clergy. Migrant clergy, both Christian and of other faiths, had a particular need, he said. Every year hundreds of Catholic priests, mostly from India, came to Australia, he said, as well as Muslim imams and mosque leaders and Hindu leaders. “Some clergy from overseas were saying, ‘of course you can beat children,’” he said. A two-day Monash University multi-faith seminar offered last decade in Victoria and Queensland showed that diversity training for clergy could be done successfully, he said. A mix of faith leaders attended the seminar, said Professor Bouma. Initially the gathering was awkward, but very quickly the groups intermingled. “They realised that as religious leaders they all had the same problems – congregations, communications and relationship with the larger society. Having the diversity in the room was utterly critical.” Representatives from police, social services and government also attended, he said. When global controversy over offensive Danish cartoons of the prophet Mohammed erupted shortly afterwards, the seminars proved their worth, said Professor Bouma. Because Muslim leaders had met the police at the seminar, successful non-violent protests were held in Australia, he said – a marked contrast to violence overseas. Society was becoming increasingly divided between the religious and non-religious, said Professor Bouma. Diversity in Australia encompassed not just religion but gender, family structure, regional location, ethnic, health and wellbeing, economic, age and generation. “There’s all kinds of diversities out there – of which religion is only one,” he said. The diversities are growing and multiplying. “There’s so much diversity, even among Anglicans. Somebody says that they’re an Anglican and you have to keep listening to hear whether they’re my kind of Anglican.” Diversity in Australia was markedly different to diversity in Europe, he said – for which we deserved a “pat on the back”. Professor Bouma stressed that different groups in society needed to have a relationship with each other prior to tackling terrorism. A concern “first and foremost” for combatting violent extremism would not foster relationships between diverse groups, he said. Professor Bouma is chair of intercultural and interreligious relations at the United Nations Educational, Scientific and Cultural Organisation and is a professor of sociology at Monash University. 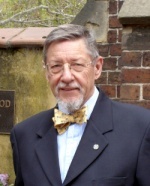 He has written over 30 books and 360 articles on religion, has served in leadership roles with the World Conference of Religions for Peace and the Christian Research Association, and was awarded the Member of the Order of Australia medal in part for services to interreligious relations. He is also an associate priest with Saint John’s Anglican Parish in Malvern East. Originally published in The Melbourne Anglican, March 2017, p4. Download a PowerPoint used by Prof. Gary Bouma in this presentation.